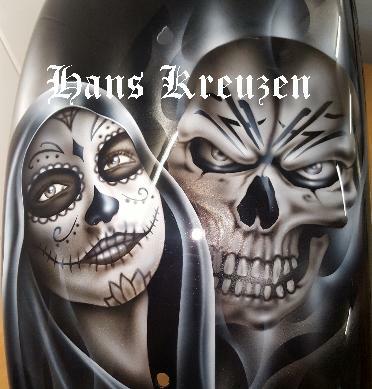 Click Here "2019 Airbrushed Motorcycles"
Click Here "2017 Airbrushed Motorcycles"
Click Here Page 2 "More Airbrushed Motorcycles"
Click Here Page 1 "More Airbrushed Motorcycles"
Click Here "More Airbrushed Motorcycles"
Airbrushed Fatbob Harley Davidson painted in pearl white with day of the dead themed airbrushing. 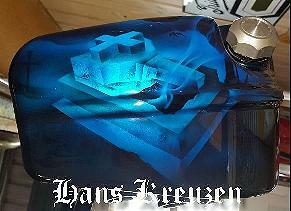 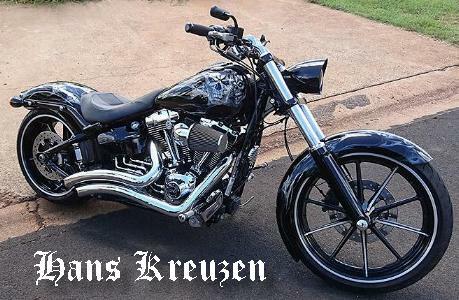 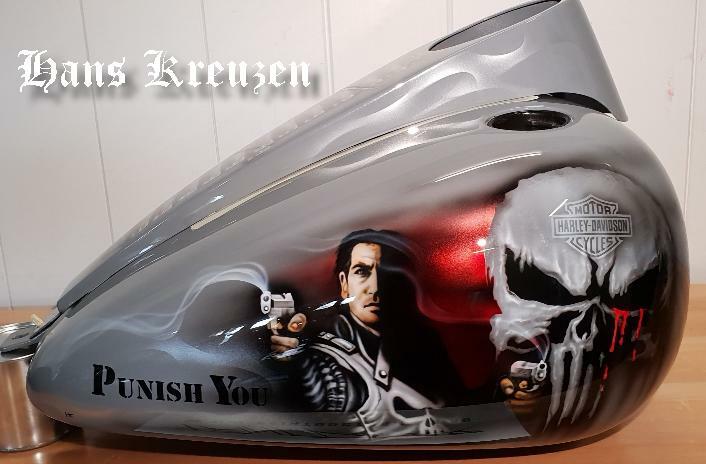 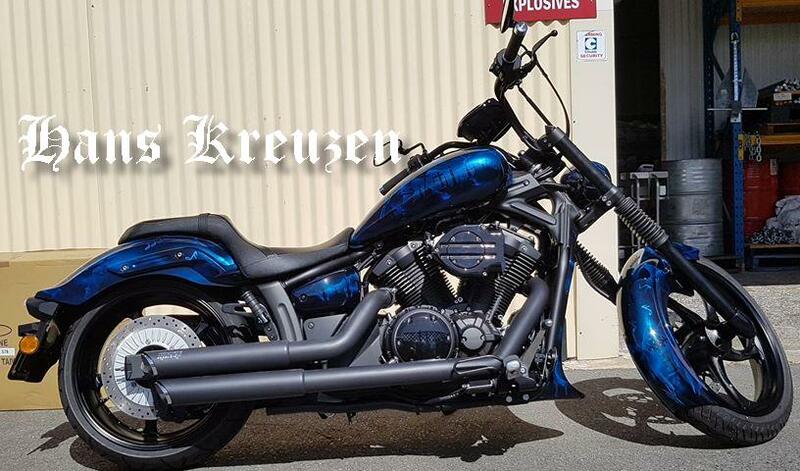 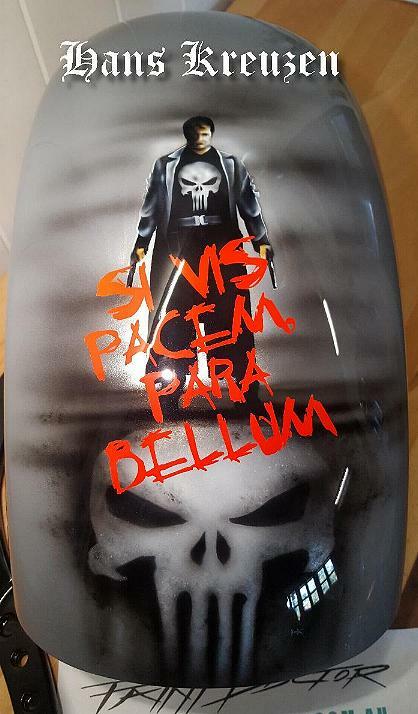 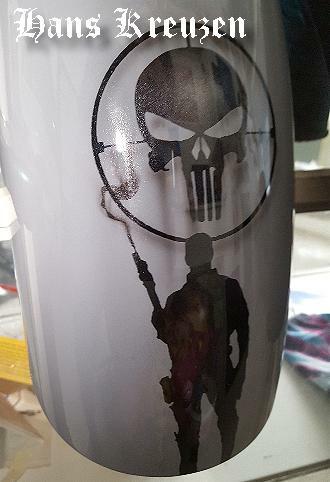 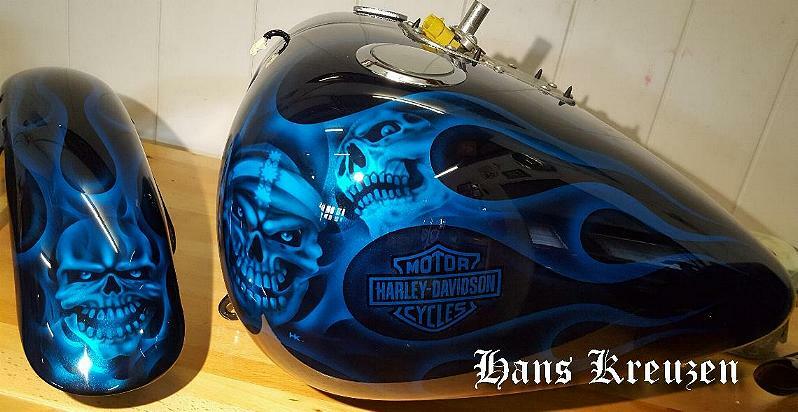 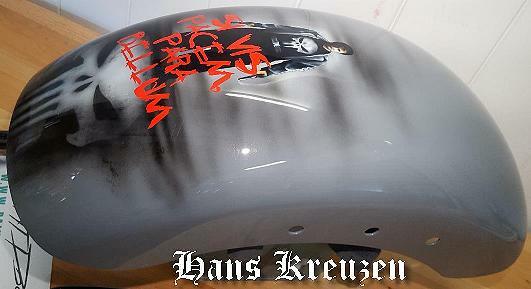 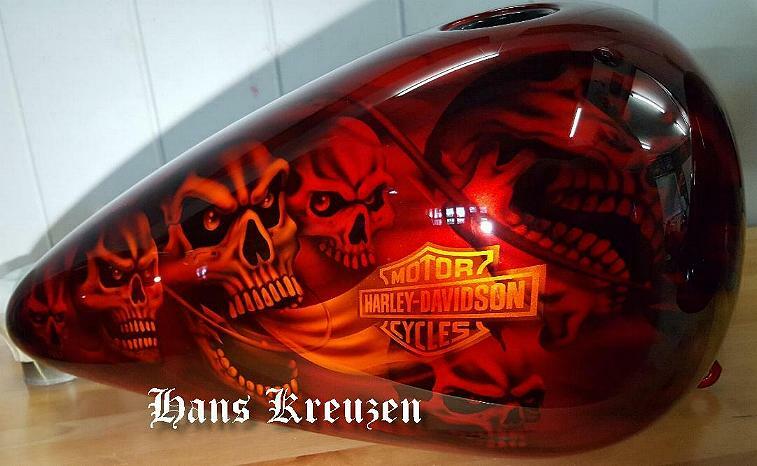 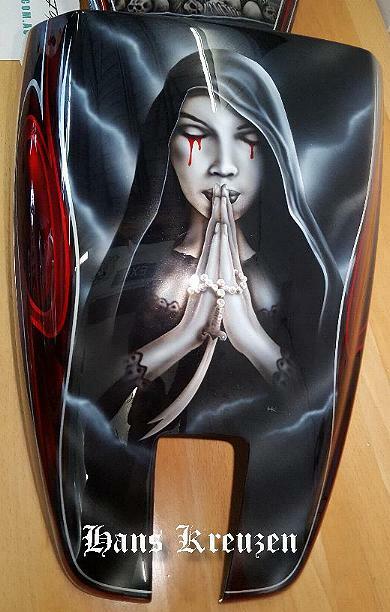 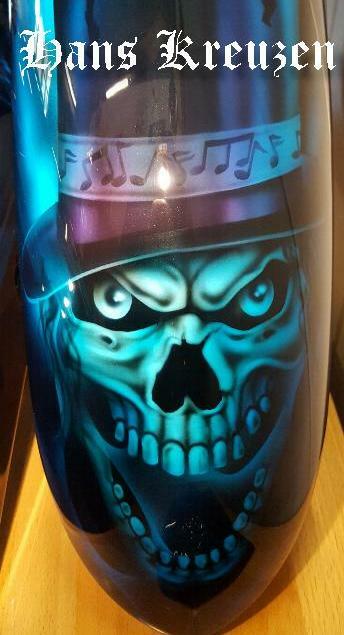 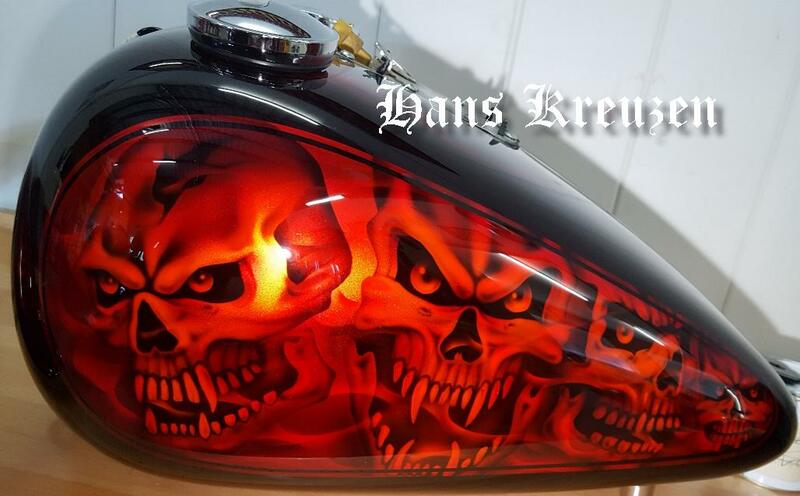 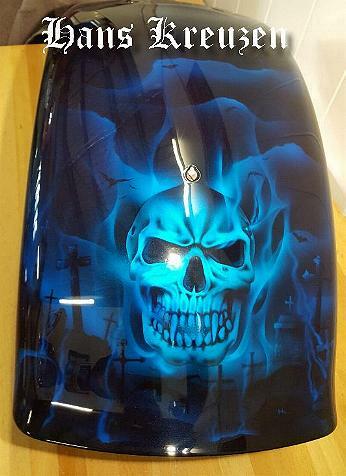 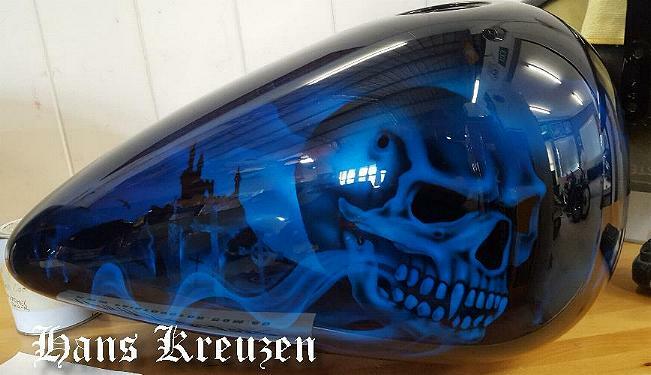 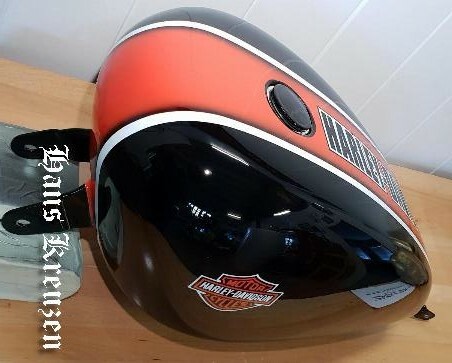 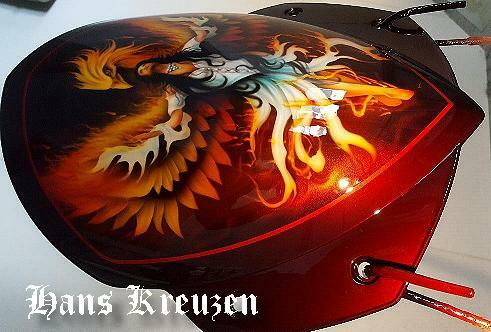 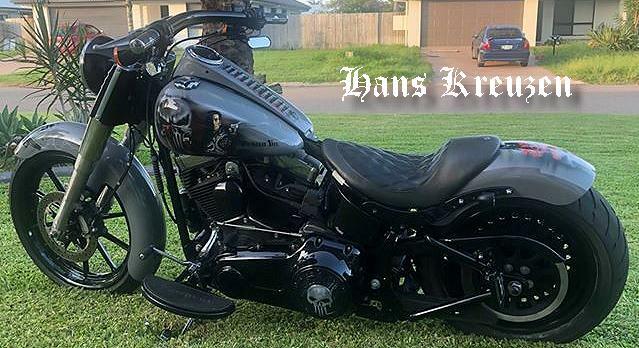 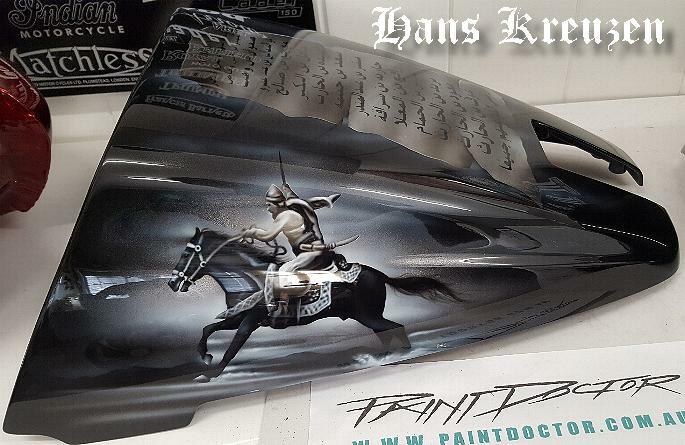 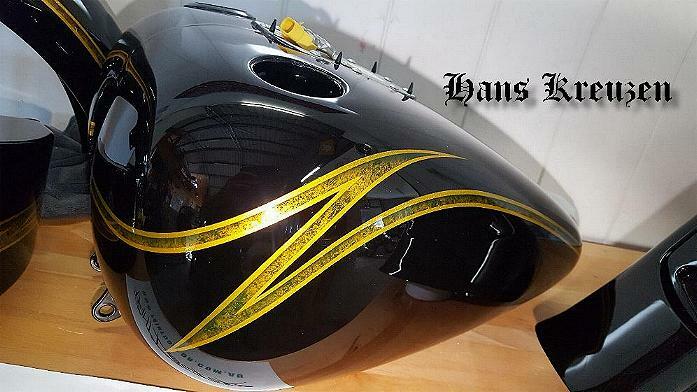 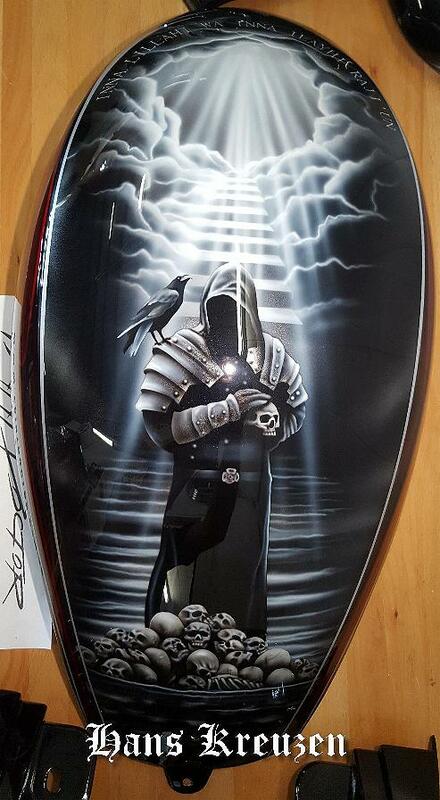 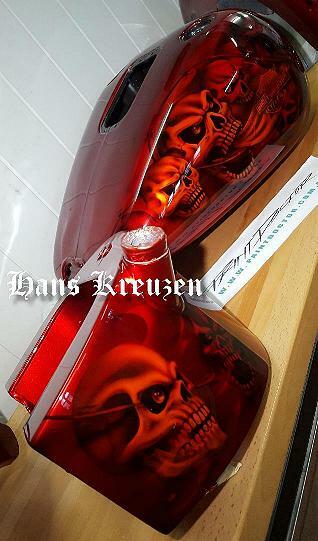 Airbrushed "Punisher" theme over a custom grey base on this Harley Davidson, Writing is in latin, Fuel tank to yet. 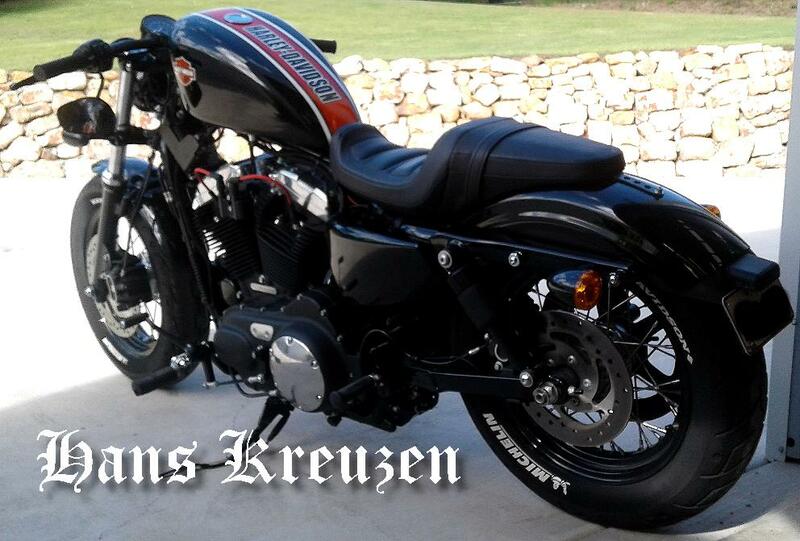 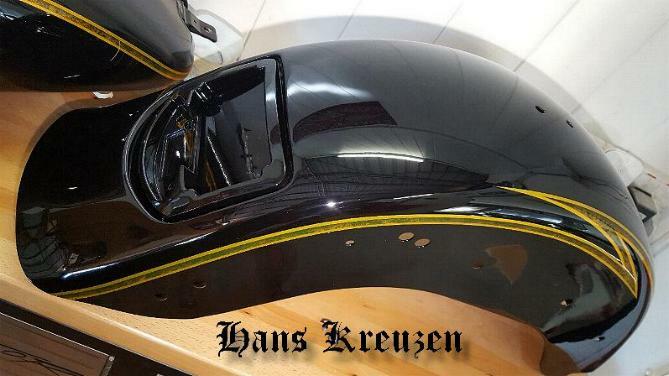 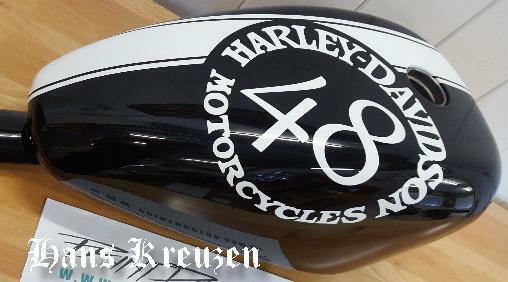 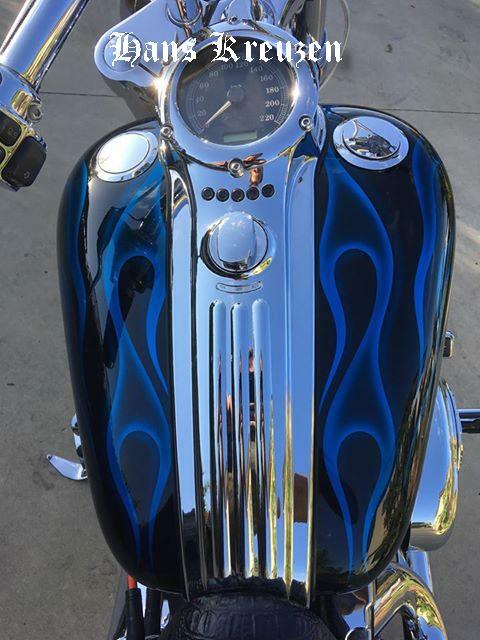 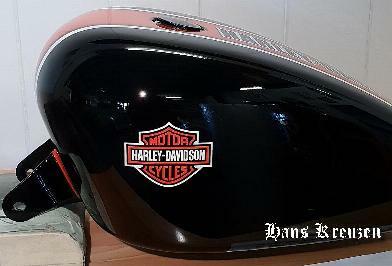 48 Harley Sporty with a large replacement fuel tank, painted in Vivid black with Harley designs. 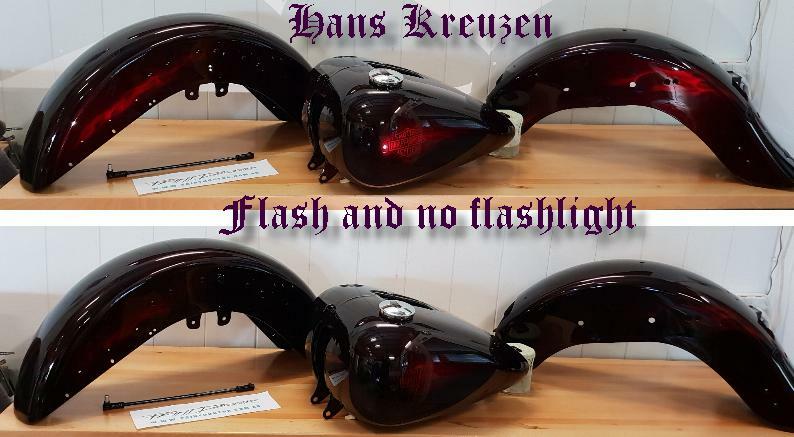 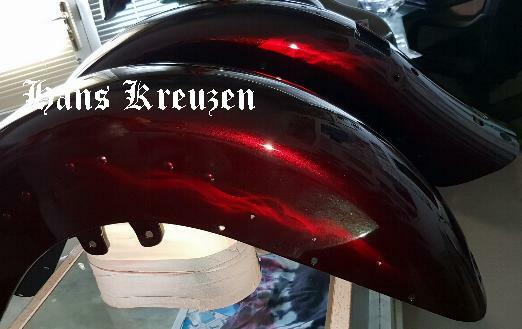 This Harley Davidson Heritage is painted in our own special mix called "Coke Red"
This is a great colour if you like your ride to look black but candy apple red on the highlights at different angles. 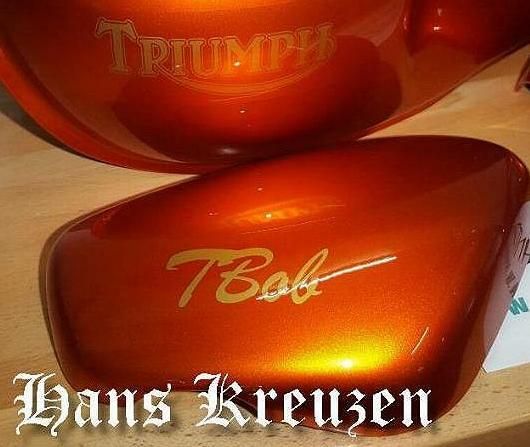 This custom paint is also avalable in "Bundy Orange"
It was harder than it looks to reproduce, but it came up great. 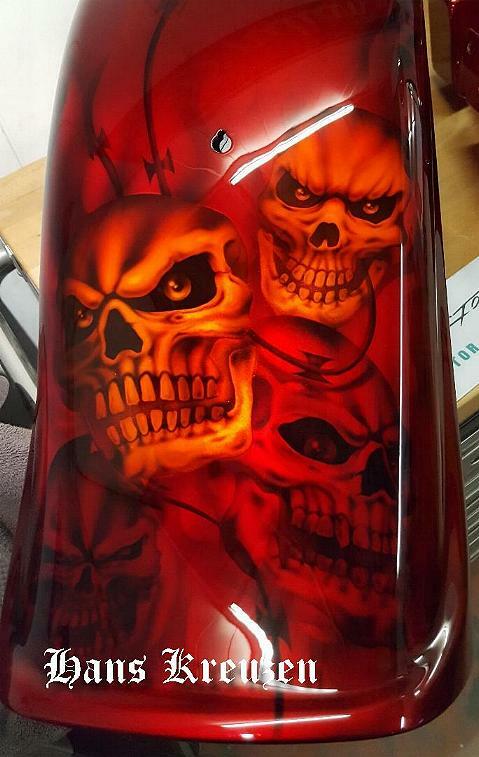 After the candy red overlay. 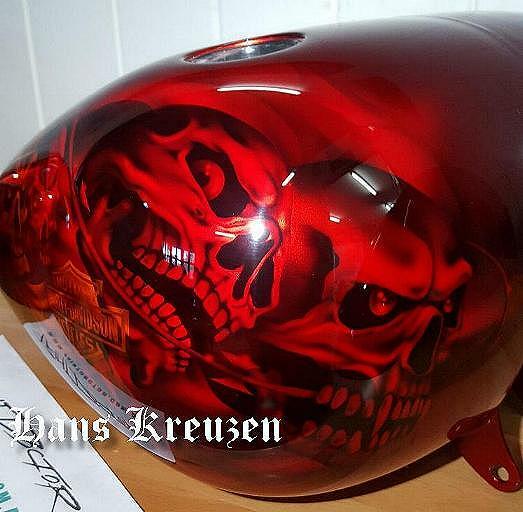 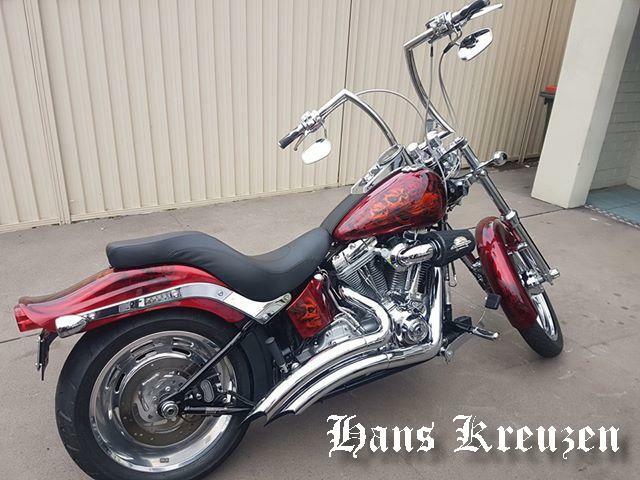 Airbrushed candy apple red with candy orange highlights on this Harley Softail from N.S.W. 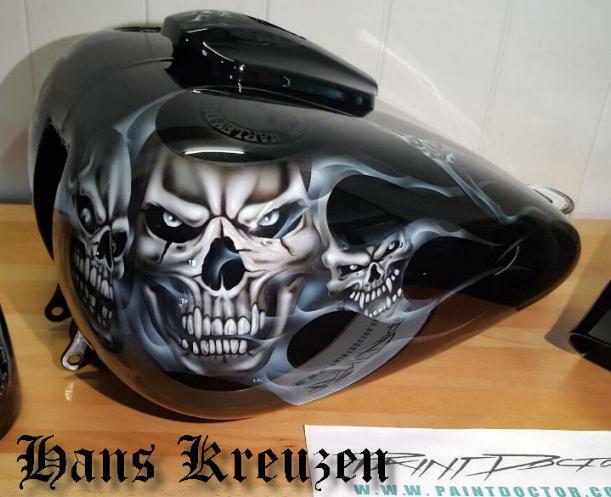 Lot's of detailed Skull's and razor wire on these tins. 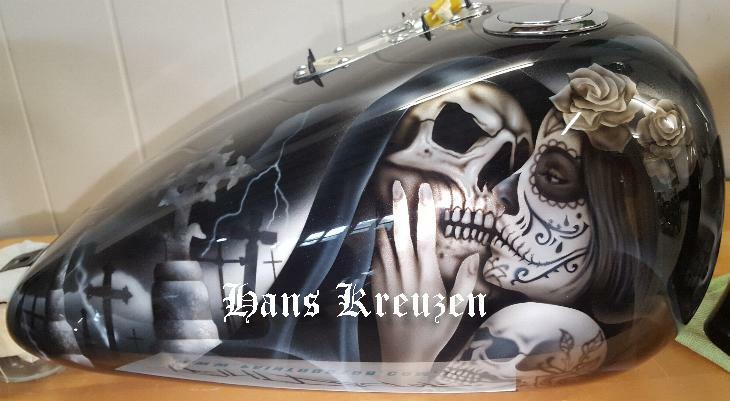 Airbrushed Harley Fatboy with Day of the Dead girls and Skull themed artwork over a black base. 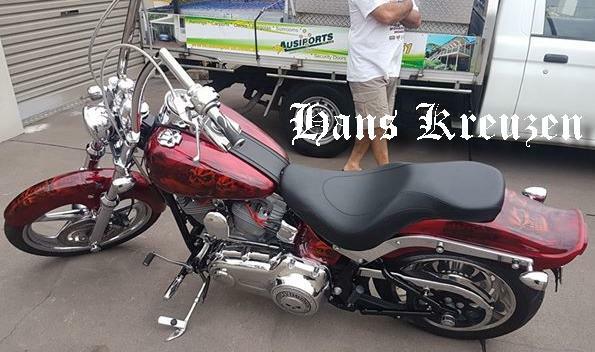 This customer send his tins to us from Melbourne Victoria. 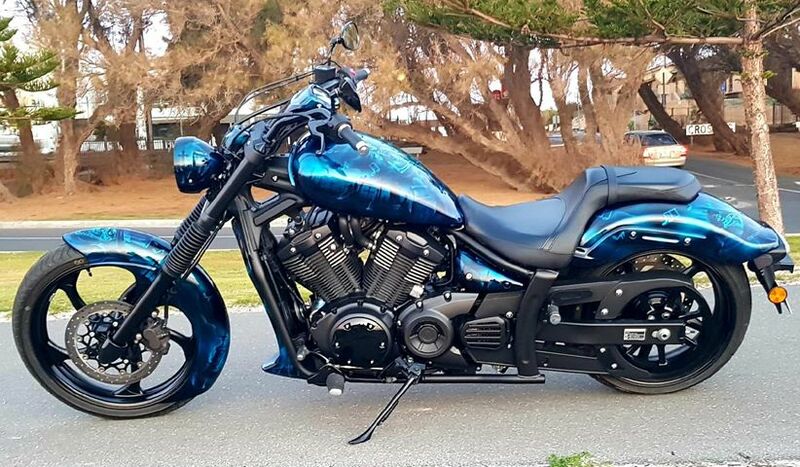 Brand New 2018 Yamaha Stryker, Straight from the dealer to us. 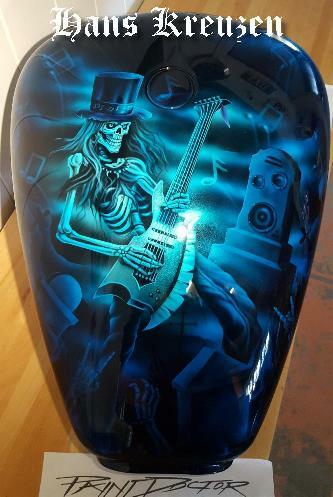 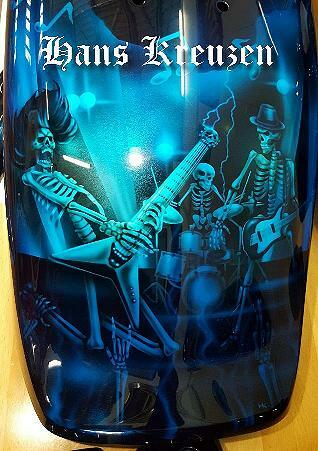 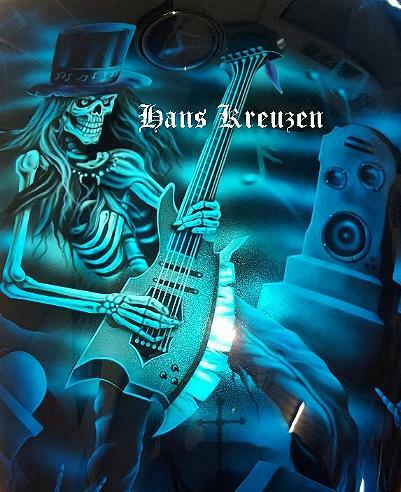 Airbrushed with a musical skeletone theme in candy apple blue over a black and silvers base. 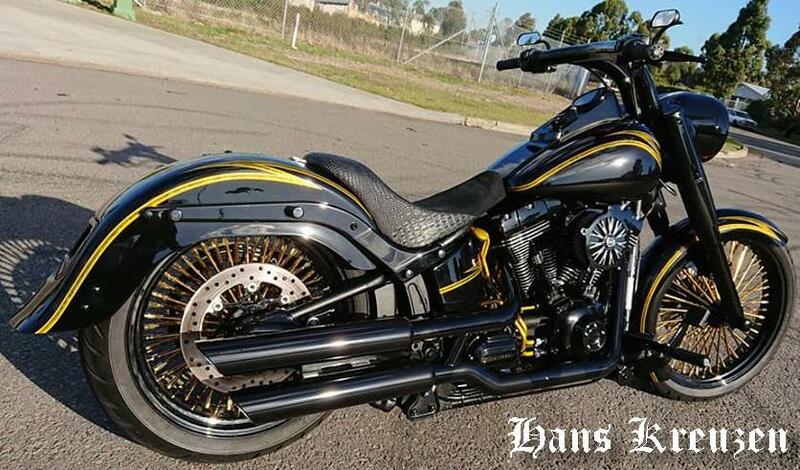 This customers wild ride was send to us from South Australia. 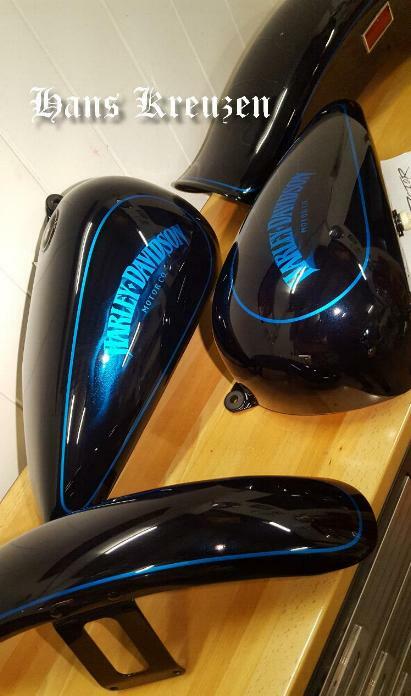 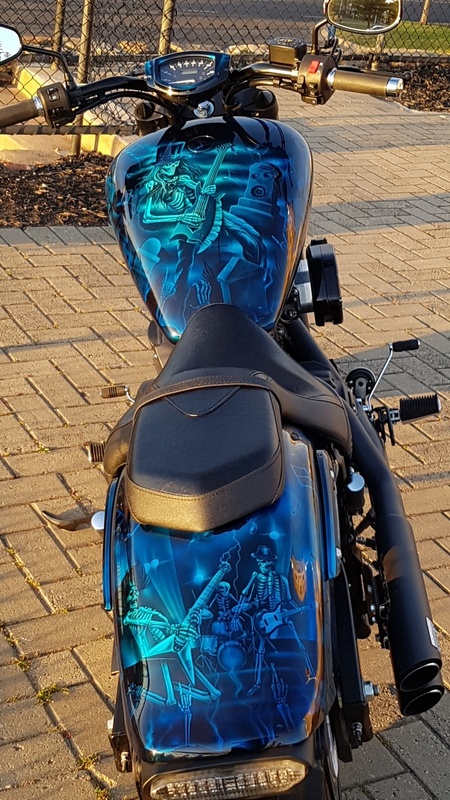 2014 Triumph Thunderbird with airbrushed mural on windscreen and colour matched side covers with the "Thunderbird" logo painted on. 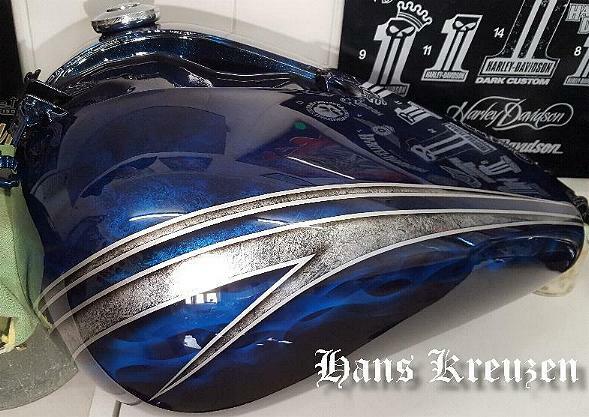 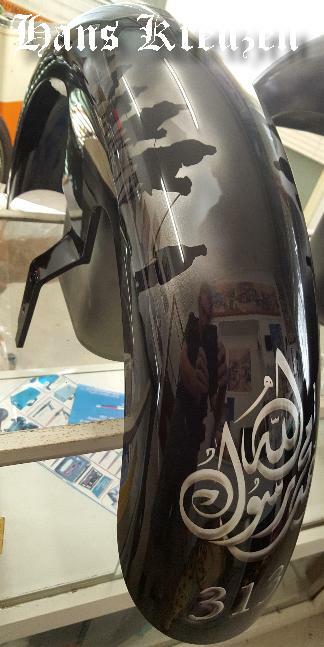 Silver over black, V-Rod Harley Davidson, airbrushed with a "Arabian" theme, Fine airbrushing in this one. 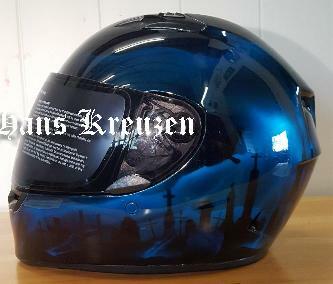 Triumph Thunderbird, painted in candy blue marble and flames with silver graphics. 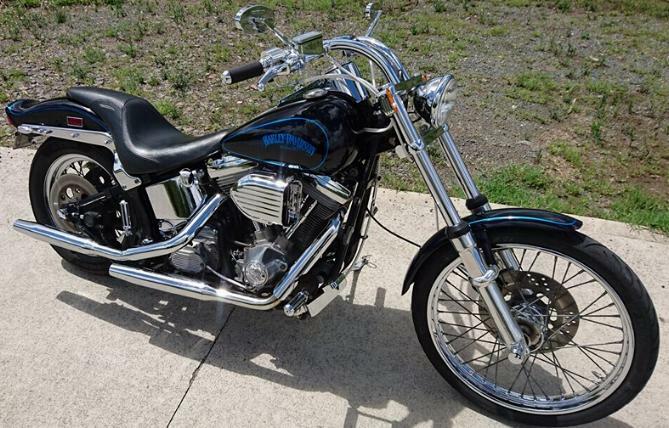 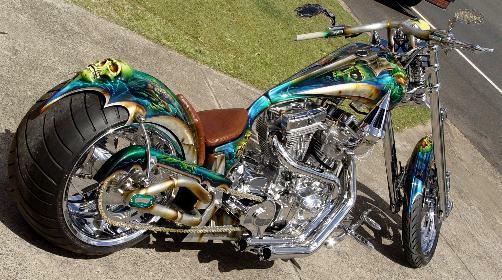 1985 Harley Davidson with 1970's style airbrushed murals, metal flake, fan stripes and fish scales inserts. 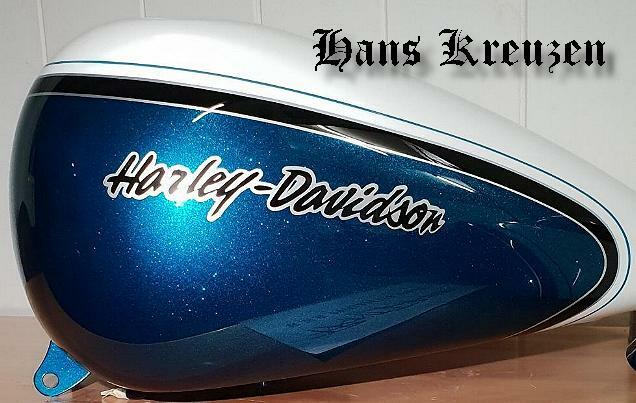 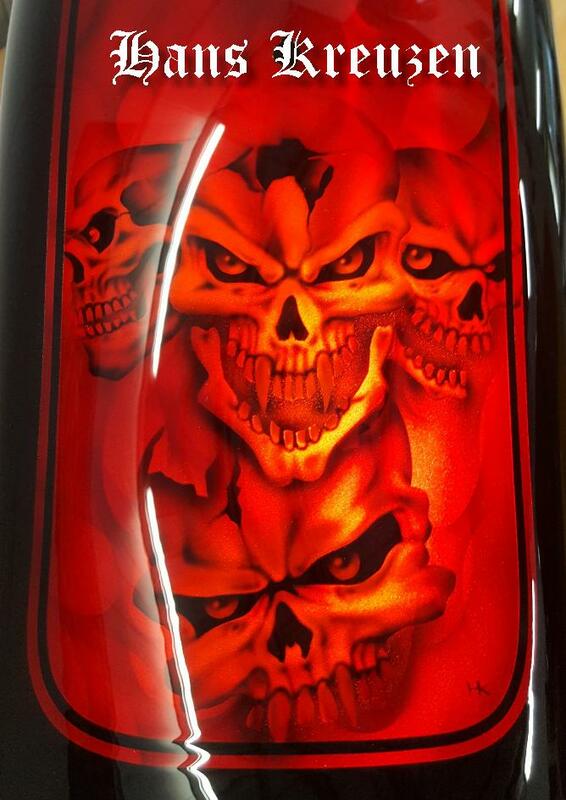 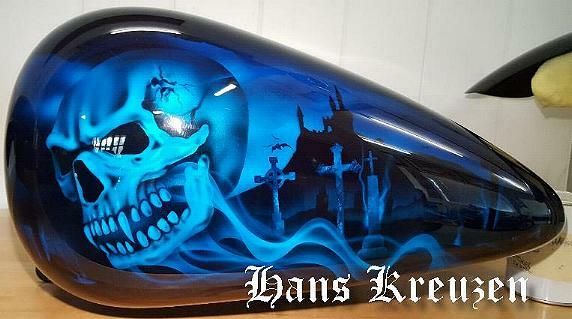 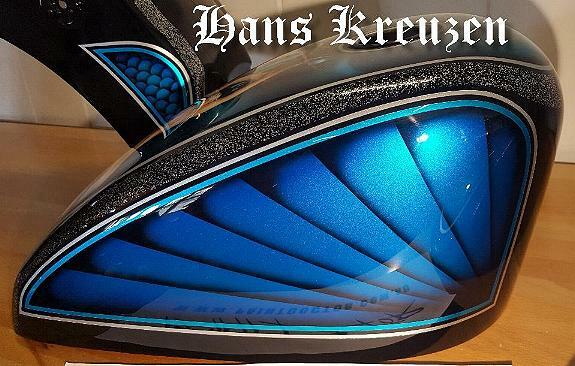 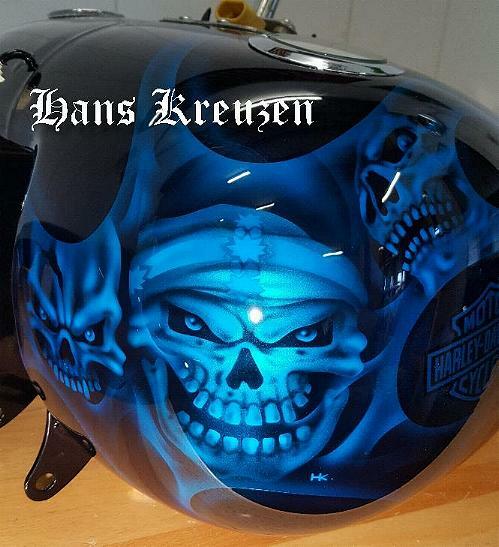 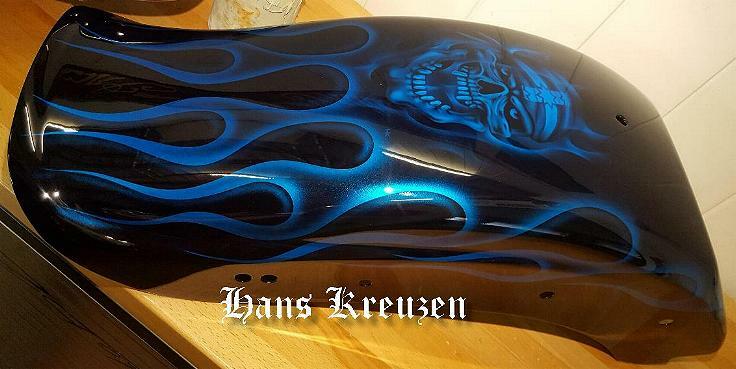 Harley Davidson Breakout with airbrushed Vampire skulls in candy apple Royal and Regal blue. 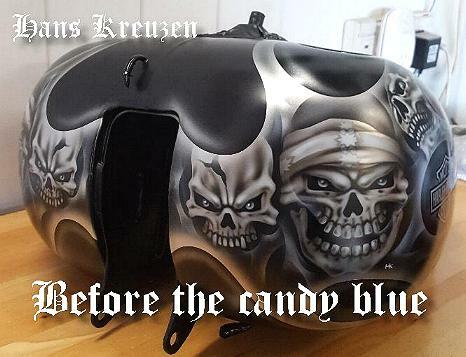 Standard rear guard has the licence plate recess pocket welded in and the old holes welded up. 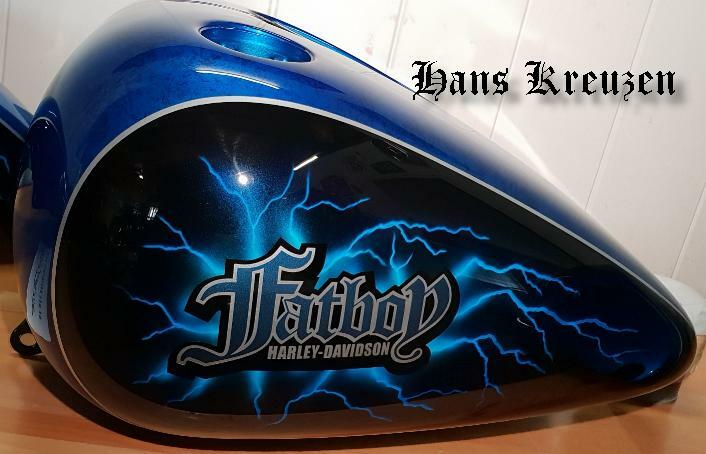 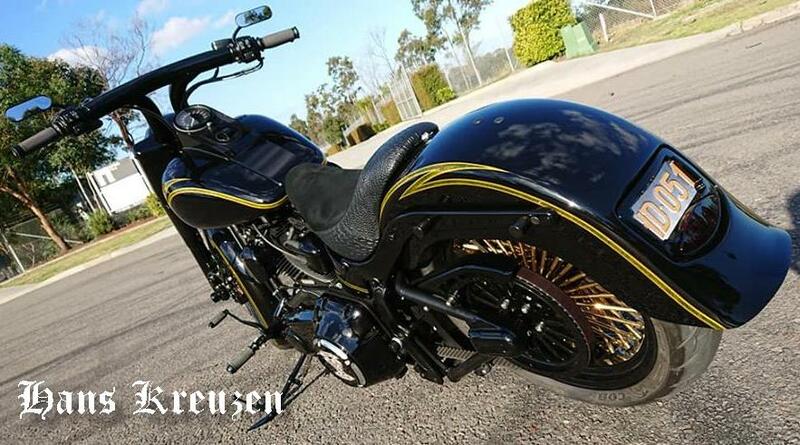 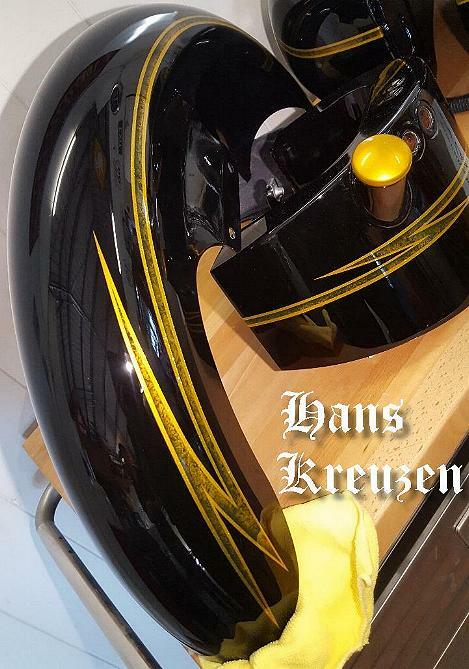 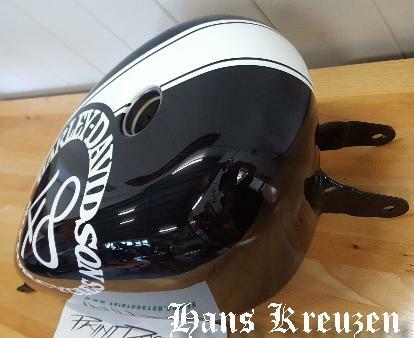 Harley Davidson Fatboy Lo painted in black base with candy gold metal flake and marble striping. 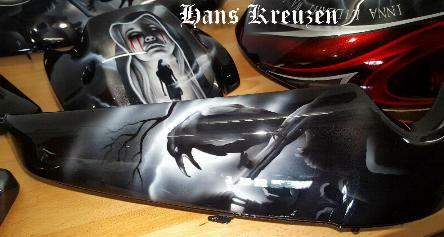 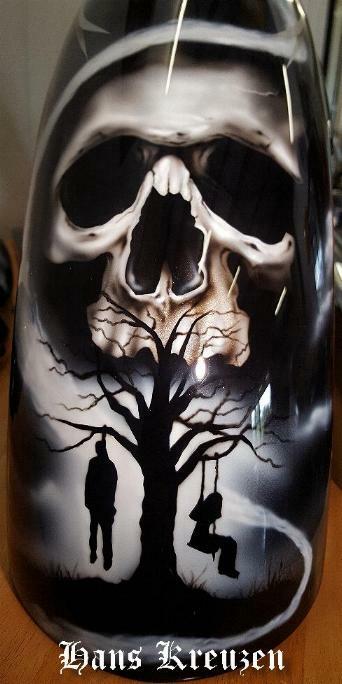 Silver over black, V-Rod Harley Davidson, airbrushed with the "Good & Evil" theme, lot's of hours in this one. 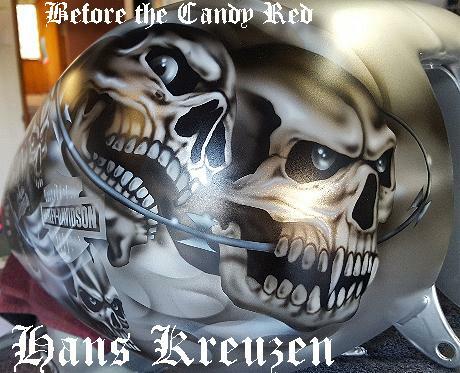 Candy Red and Silver graphics for contrast. 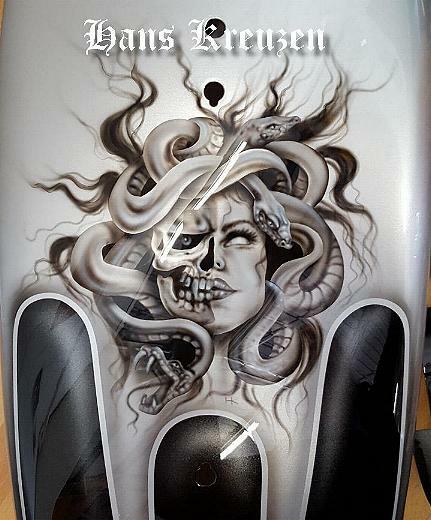 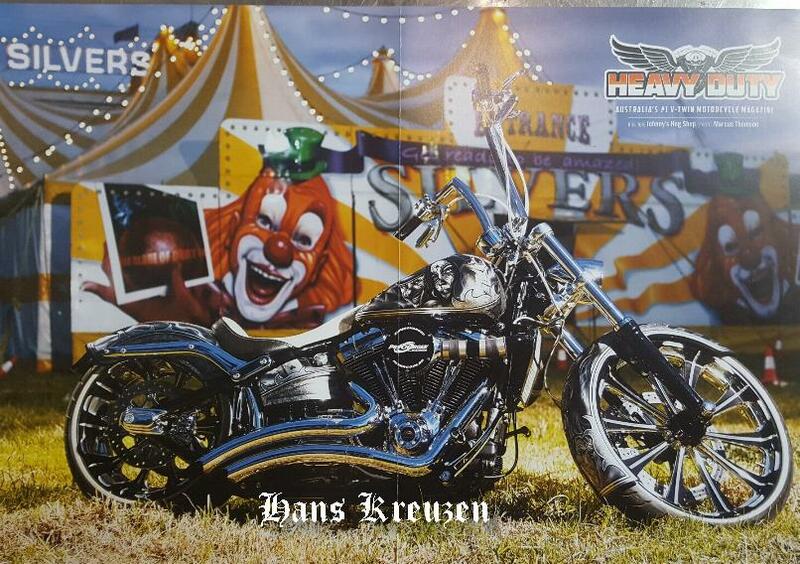 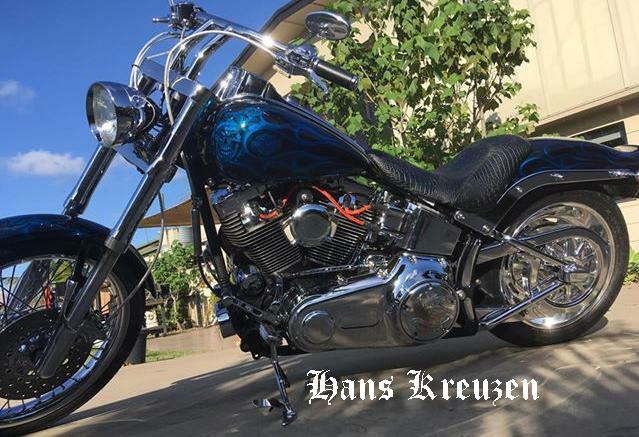 Silver over black, scalloped Harley Davidson Softail, airbrushed with the "Medusa" theme, lot's of hours in this one. 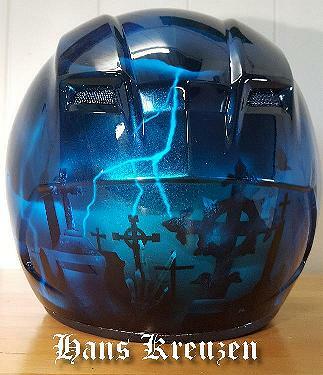 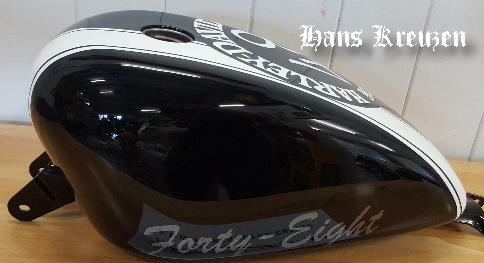 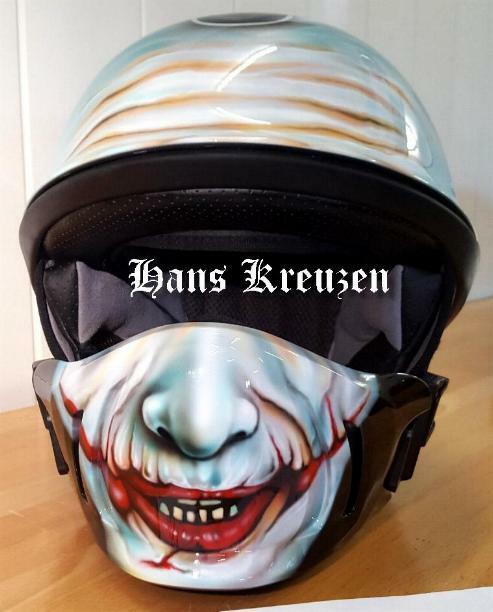 Also a Bell Rogue helmet with matching scallops and the "Joker" airbrushing. 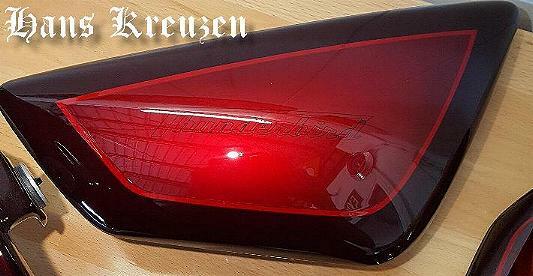 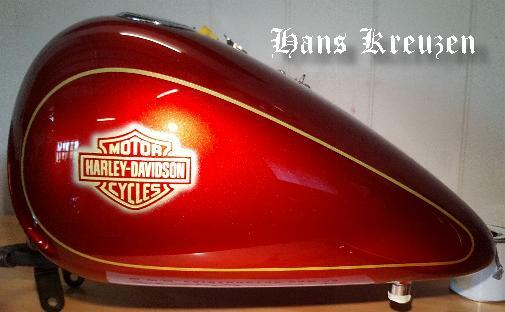 Harley Fatboy painted in timeless candy apple red with gold pin striping and HD shield. 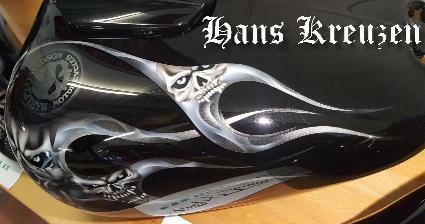 Black flames with black pin striping over a black base, Only the silver skulls make it all stand out. 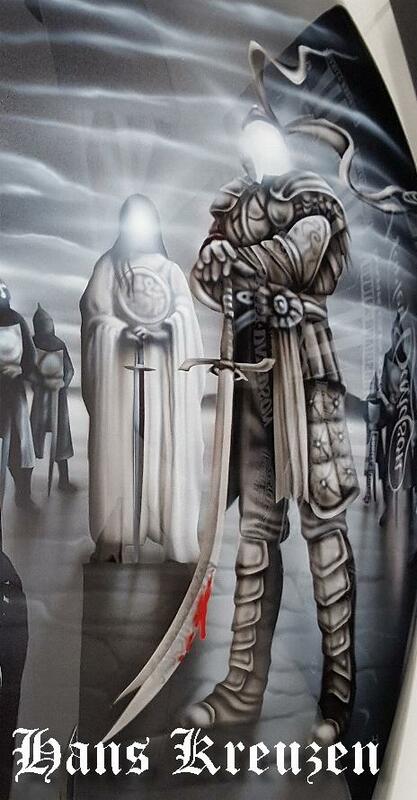 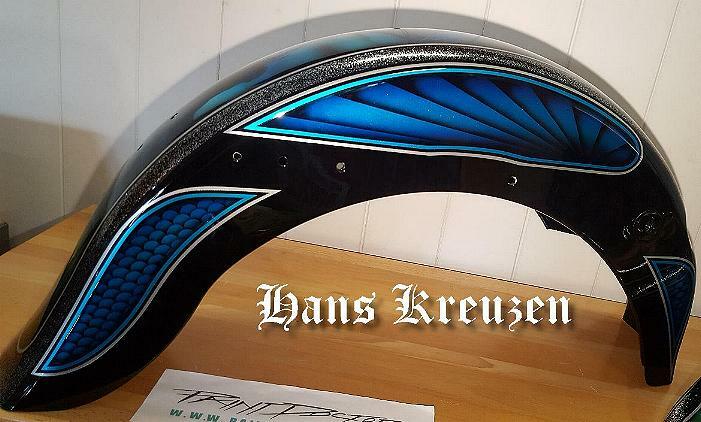 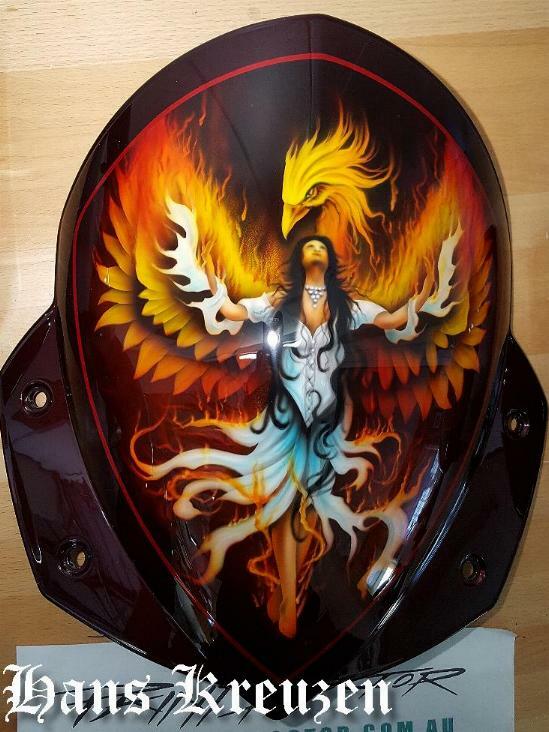 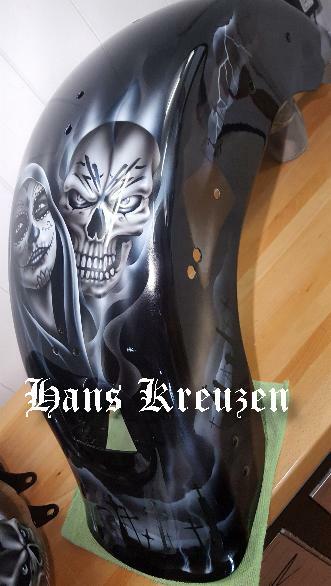 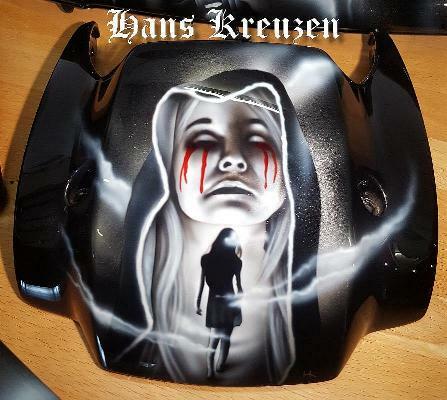 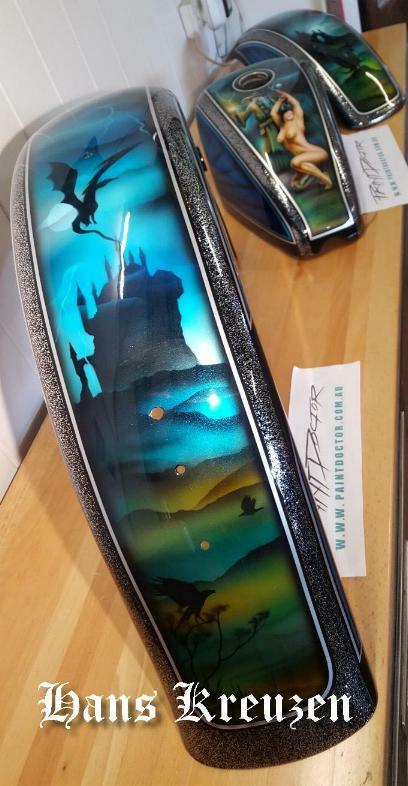 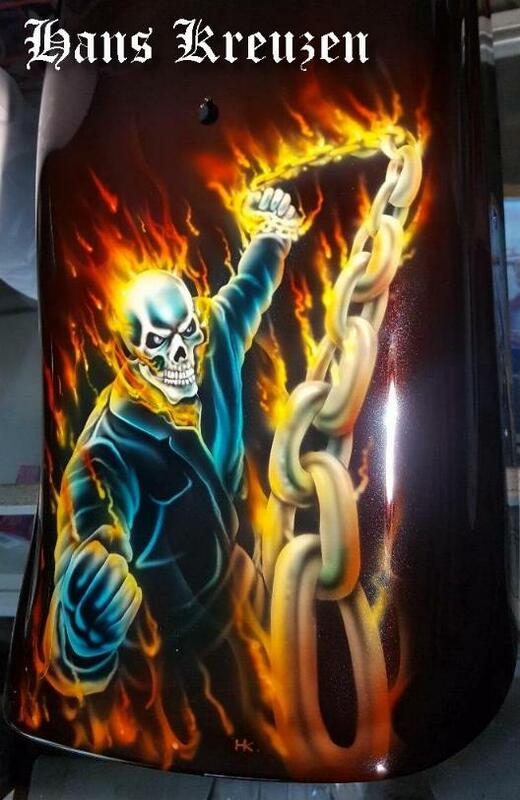 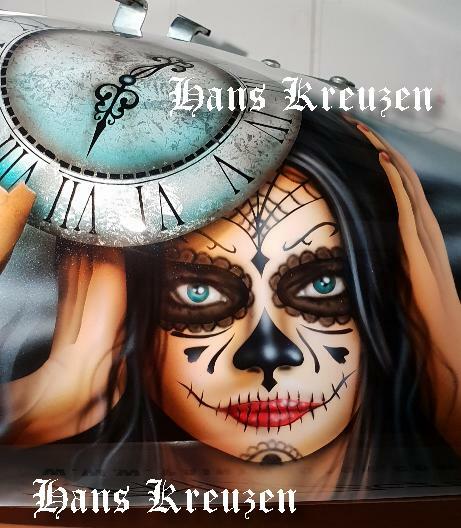 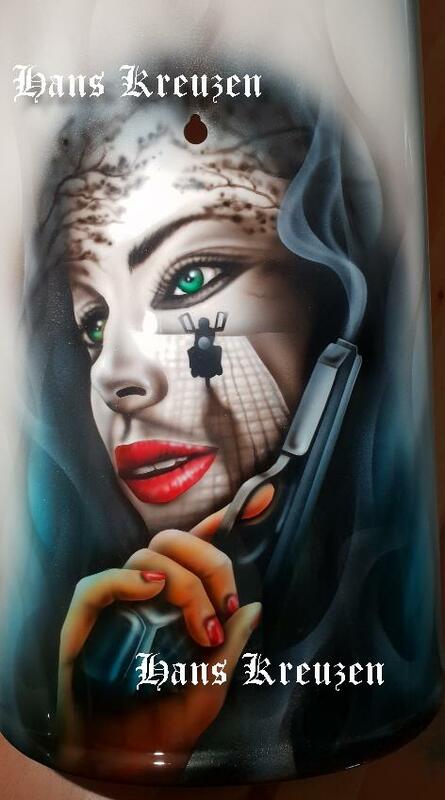 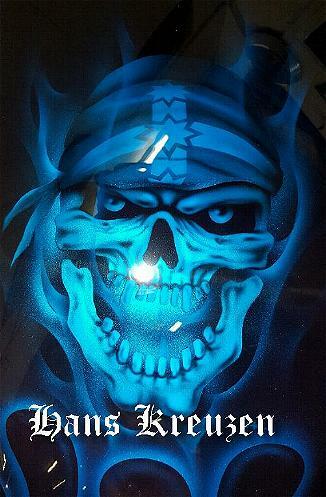 Airbrushed mural of the "Ghost Rider" on a Harley Davidson rear guard. 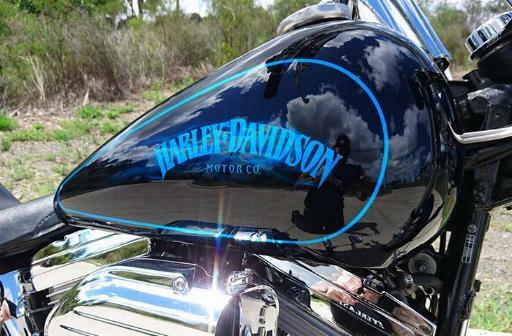 Early Harley Davidson Softail with candy blue over black and silver pin striping and logo's. 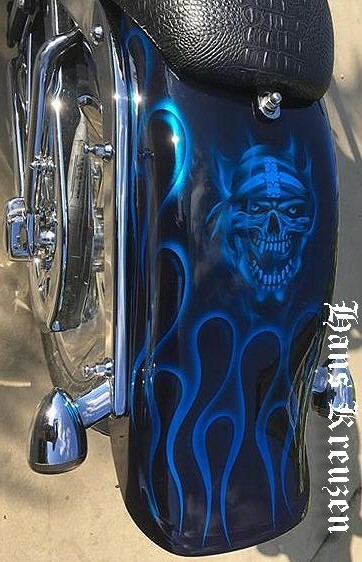 Bike painted by The Paint Doctor and Build by Jason's Garage. 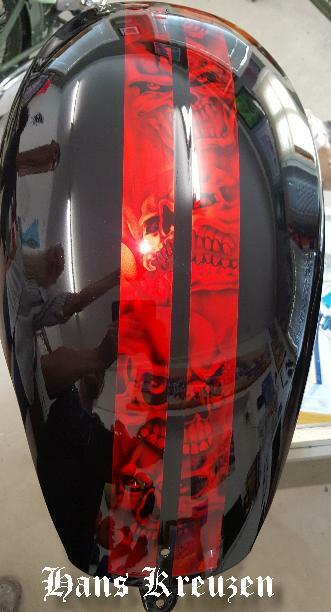 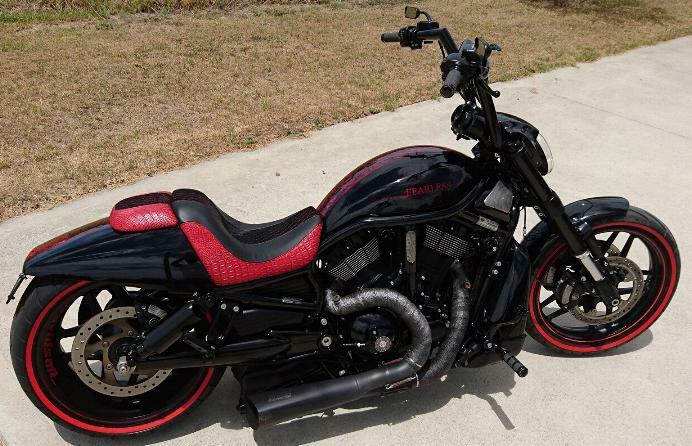 V-Rod with red FX Pearl over black base with candy red skull stripes. 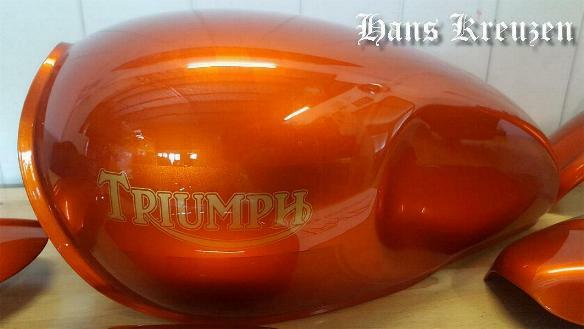 2018 Triumph Bobber, painted in candy apple orange with gold logo's. 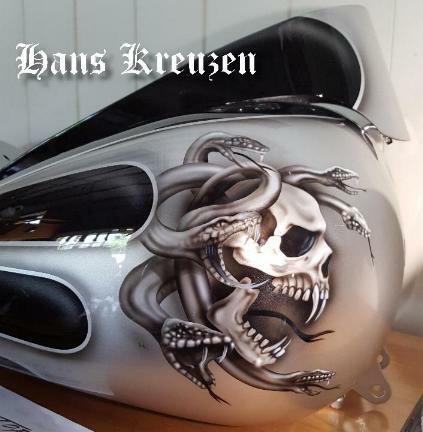 48 Harley Sporty with painted designs in black and white. 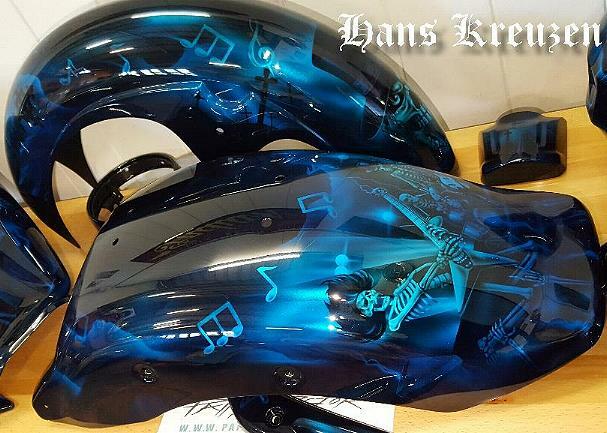 "The Latest 2018 Airbrushed Motorcycles"